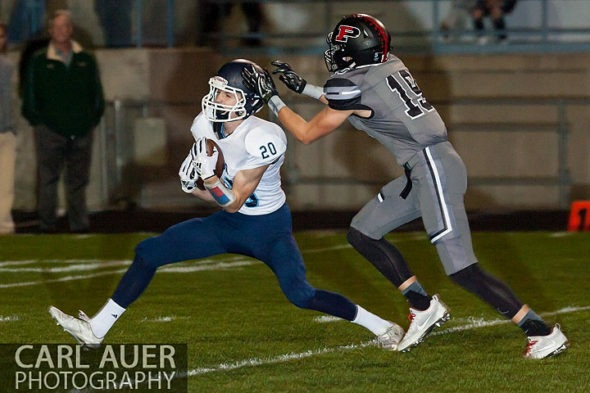 Colorado’s number one football team, the Valor Christian Eagles visited the NAAC in Arvada on Friday to play the number two Pomona Panthers in game two of a double header. These two teams have played each other something like 7 times in the last four years, and Friday’s game was a rematch of last year’s state championship. It looked to be a pretty good battle from the start of the game. 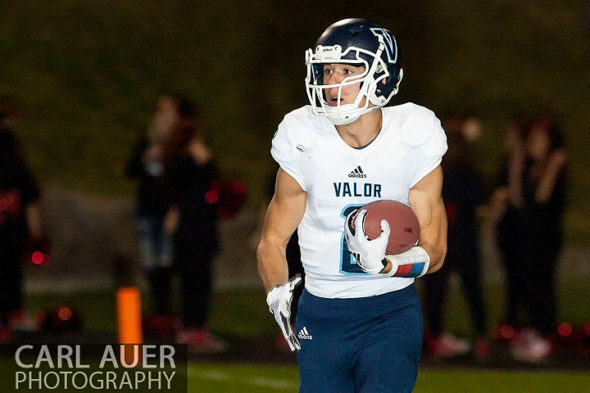 Both teams went scoreless through the first quarter, and Valor finally scored first with a field goal. 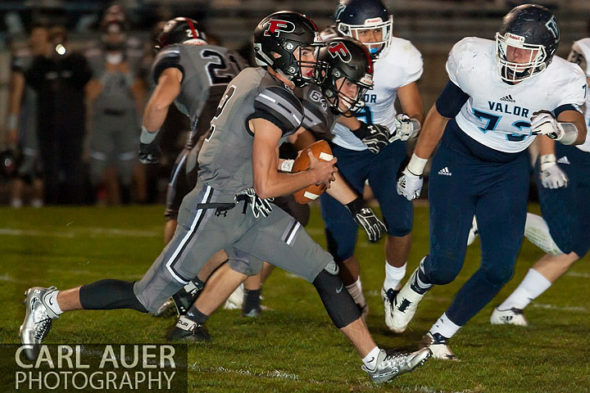 Valor dominated the game, but word was floating around that Pomona was not playing at their full capability, saving something for the playoffs and another go at the Eagles. Valor won the game 34-21. For this game I used my Canon 1D series camera, my 120-300 f2.8 from Sigma, and a Adorama Flashpoint bare bulb flash at 1/8th power. I am not a fan of flashed football, but these came out pretty good for flashed football. 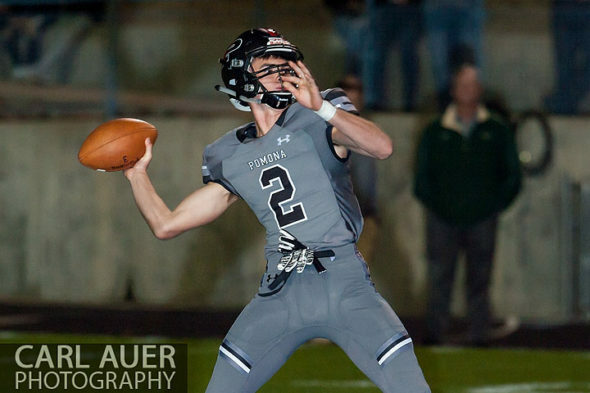 Here are some shots from the Valor Christian and Pomona football game from Friday night. 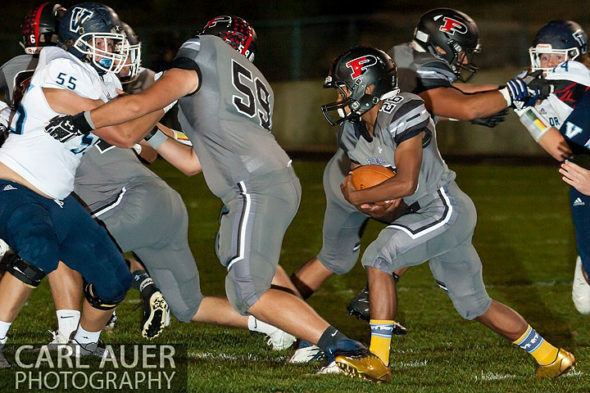 To view or purchase more, please visit MaxPreps. This entry was posted on Saturday, September 23rd, 2017 at 7:23 pm	and is filed under Sports and tagged with Arvada, Eagles, Football, NAAC, Panthers, pomona, Valor, Valor Christian. You can follow any responses to this entry through the RSS 2.0 feed.